Mr. Penfold. 25th - 27th March 2019. Through subtle evolution and refinement, Mr. Penfold delivers a study of composition, form and palette, exploring the interaction between these elements in his latest body of work, entitled 'Simple Pleasures'. 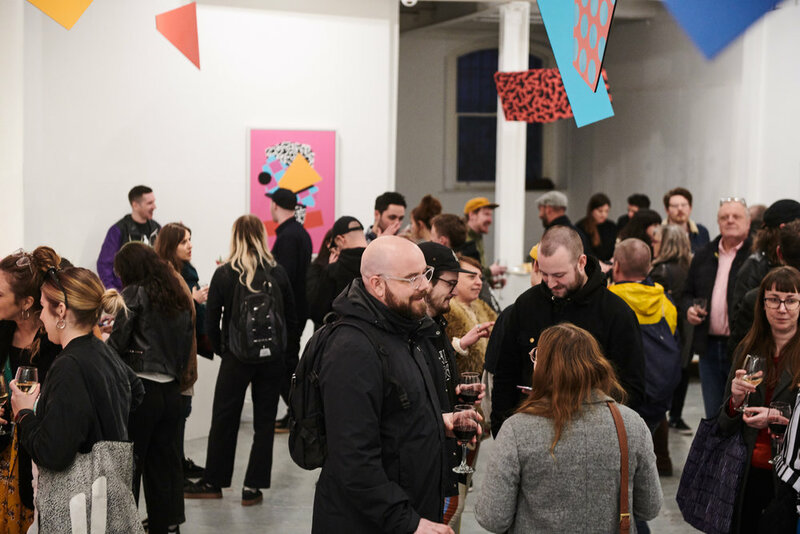 This debut Bristol, solo exhibition marks a moment in time and a pinnacle point in Mr. Penfold’s 12 year career. 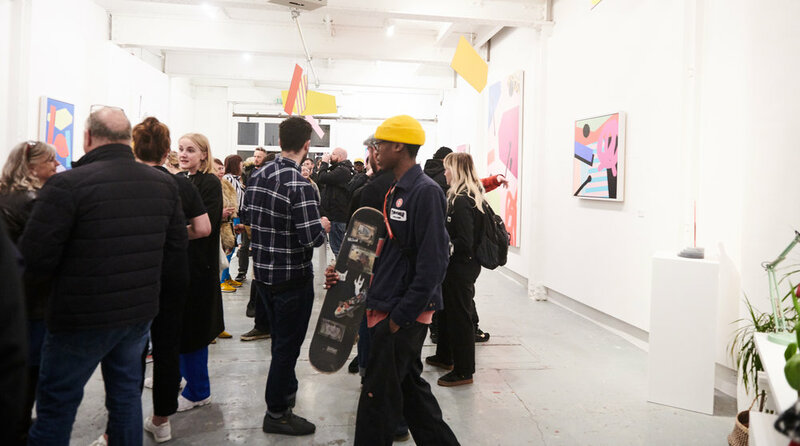 Simple Pleasures channels a more sophisticated and polished approach to his abstract style, and highlights a journey for Mr. Penfold, bringing progression and ambition into his practice to express a developed and powerful portfolio, which commits the audience to a new, raw and immersive collection of work for 2019. Tim Gresham, otherwise known as the artist ‘Mr. Penfold’, works across a variety of mediums from his Bristol based studio, the city where he currently resides. 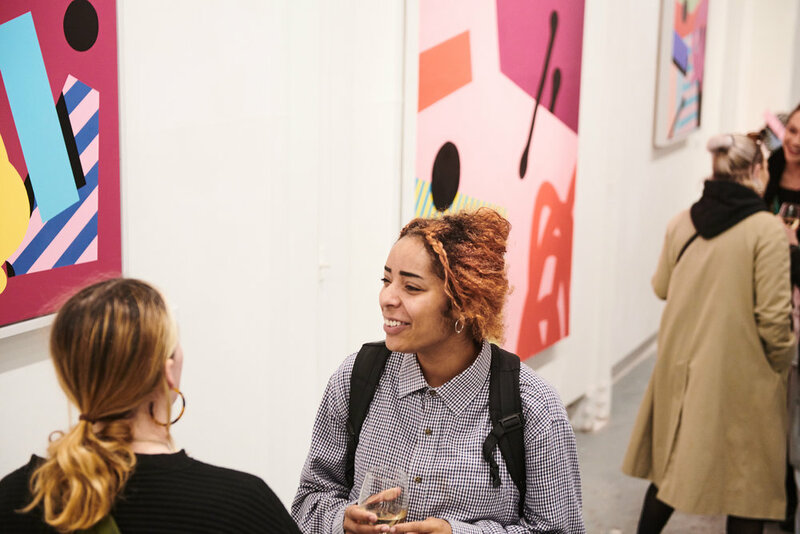 The artist’s chosen fields range from explorative, abstract paintings and screen printing to bold, large scale murals and immersive installations. 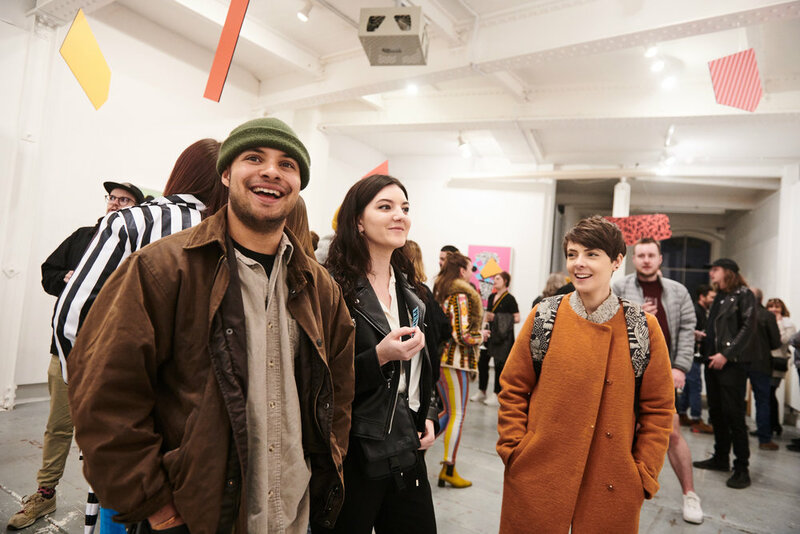 His work with has been exhibited in galleries and institutions globally and he has collaborated with some of the world’s most iconic brands, including Adidas, Nike, Disney, Smirnoff, Stella Artois and Diesel. 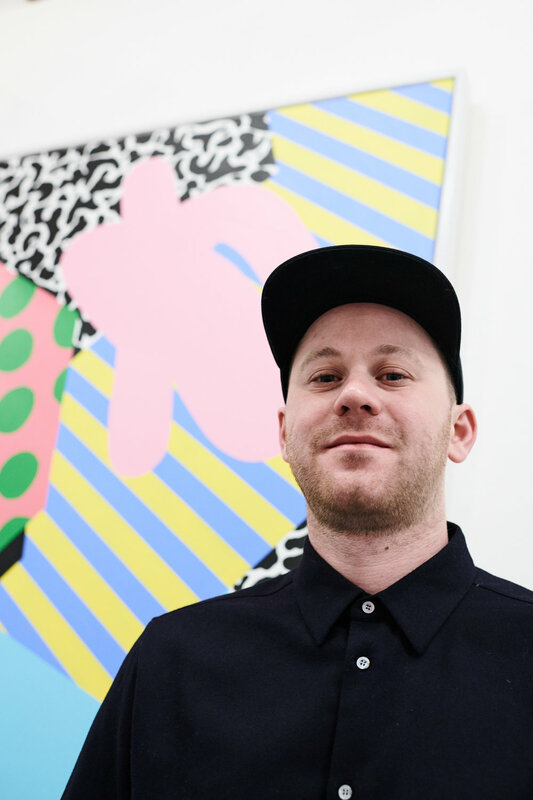 Mr Penfold cites skateboard graphics and Memphis style furniture, alongside the study of form and colour from artists Tom Wesselmann and pioneer Eduardo Paolozzi from the Pop Art movement, and more recent contemporary artists such as MOMO and KAWS, as some of his influences.